Last edited by Mallee Boy; 06-29-2011 at 11:01 PM. Here's a link to my review, which I had placed in a separate thread. I love the size, it will hold my Sigma 100-300 f4 & 105 f2.8 , My Pentax K-7 with the Tamron 17-50 f2.8 on it,, a Tammy 1.4 TC a Sigma 10-20, a Metz Flash and a bunch of little things needed for short trips. It will also hold a 15" Laptop if you can handle all the weight. 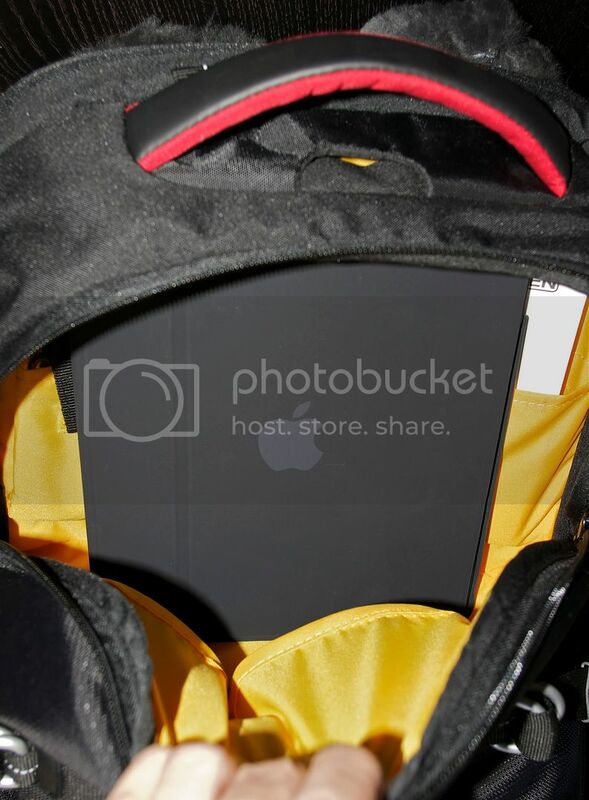 As you can see by the photo's the Camera holder will come out of the bag to carry seperately. 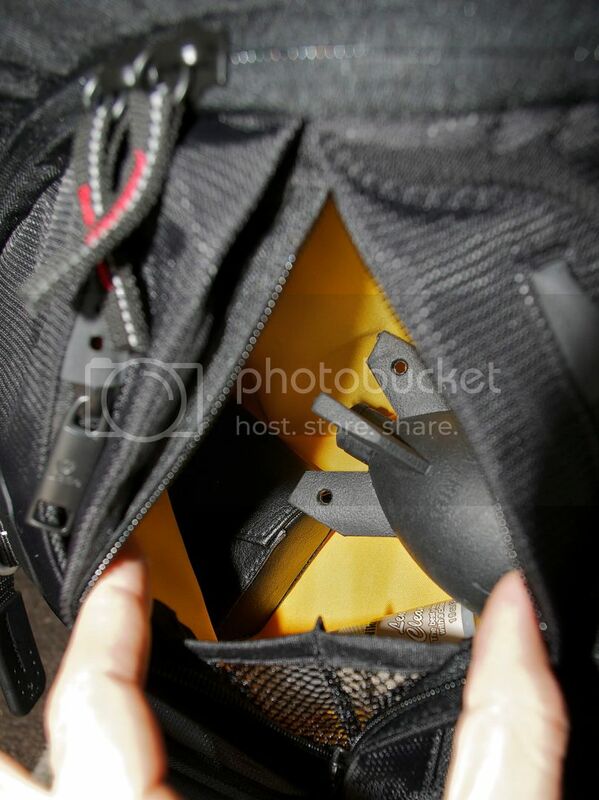 A Flap covers the bag with 2 latches then the bag zips closed under that. So it has a double cover on-top. I have a bunch, but only use three for my two digital bodies (K10D + KM) and lens, accessories. Lowepro Nova 170 AW-one body +lens...use it with my KM+ lens attached--bag used as a carry around...stitching coming apart in dividers...not happy-less than a year old. Kata 3N1-got a Kata to try something different...vey nice, one body, 4 lens, big space up on top...can be sling, back pack...like it. I don't think the GIGOLO 7500 is available in USA. Also Tried amazon and ebay nothing found. Seems like a very nice bag. Same thing in Australia, Crumpler is divided up into two autonomous divisions with different products but similar quality. One sells to Australia, Asia and North America and the other to Europe. After seeing the review of this bag here and liking the narrower form factor over the million dollar home series I ordered one from the English .co.uk ebay site. The seller was rvoptics and the final price ended up only being ~AUS$20 more than what I would have paid for a similar sized 7 or 8 million dollar home. I realy like this bag. Its slim and smal, and yet it holds a good deal of Pentax gear. 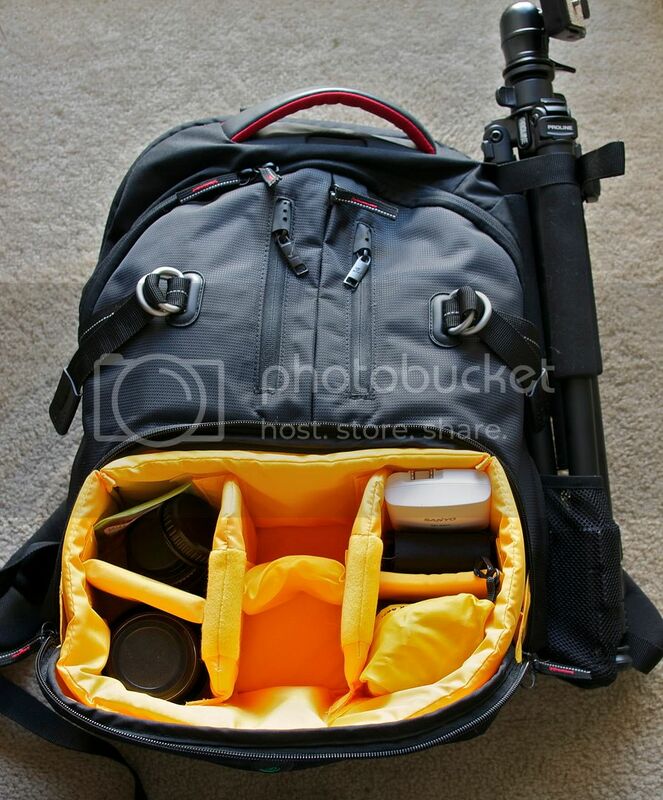 We are blessed with small lenses imo, and this bag would not hold a Canon L glass gear...at all. 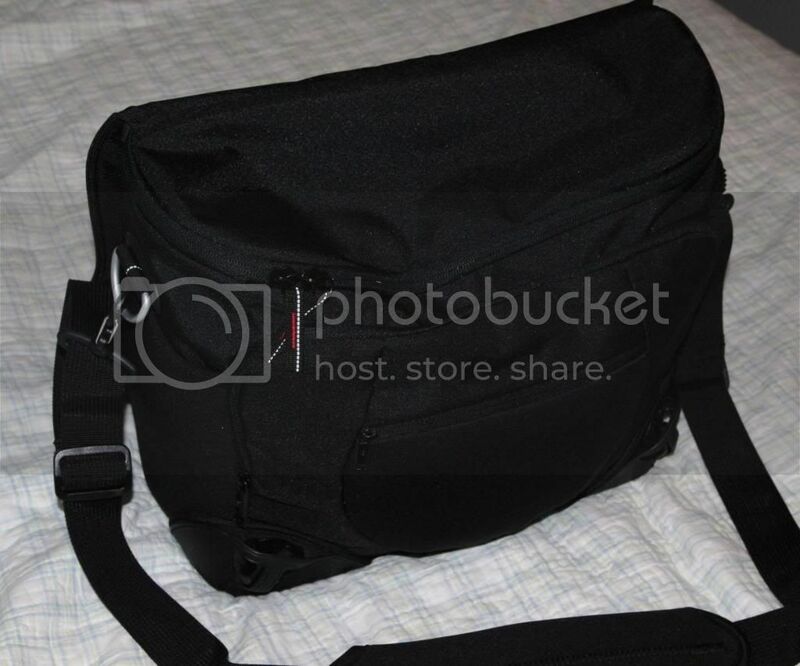 I find this bag to be very well made, and for a very good price. 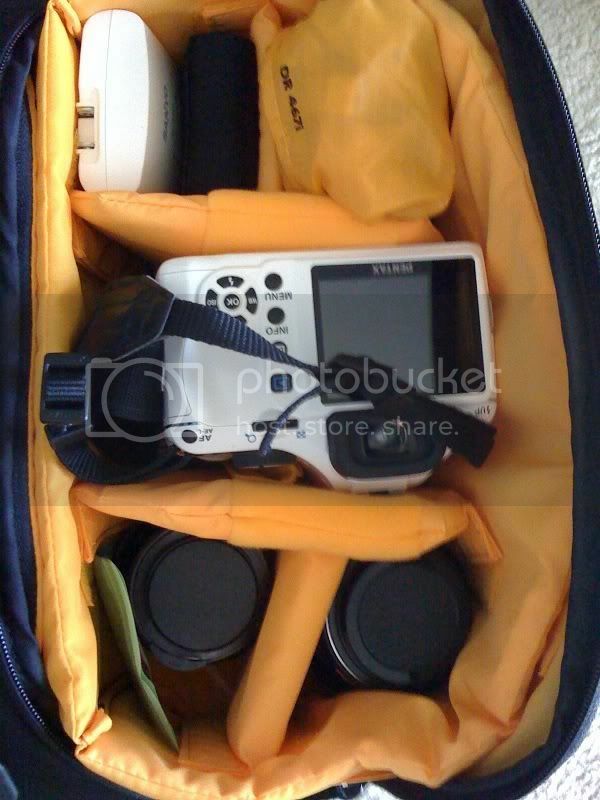 The closest in size LowePro costs more and is not equaly good designed as this Kata. Turned around and viewed as if it is used. The lid opens out from your body, wich is very good! The AF-540 fits nicely to the left, but will compromise the area ontop of the dividers. Good news is that K-7 goes in with the grip attached. The 55-300. It goes in under the divider flap, but only just. A longer lens will be like the flash, sticking up a bit. 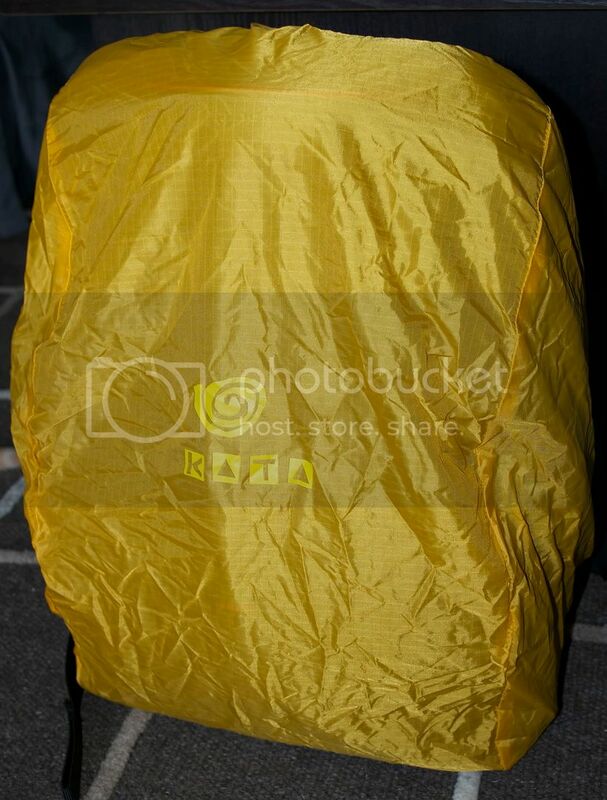 Forgot to picture the rain cover, but its in there in a litle yellow bag. 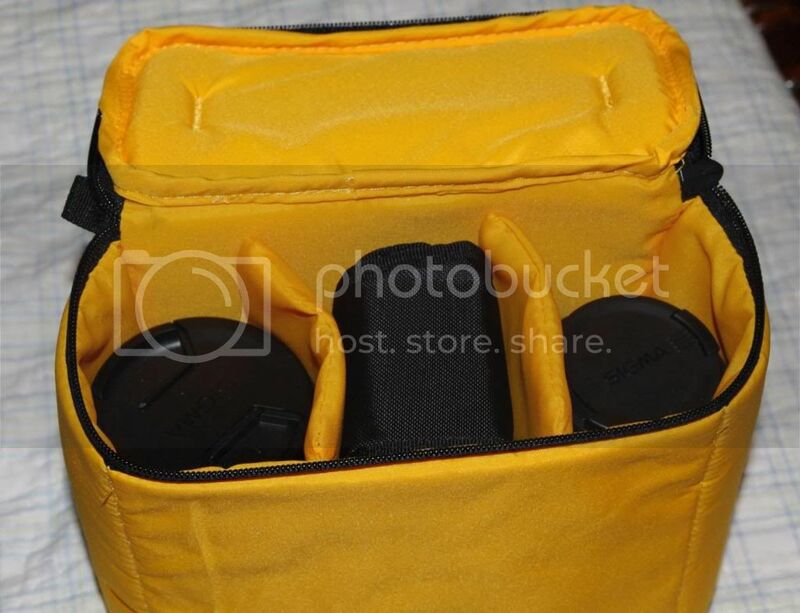 This bag is great and its perfect for a collection of small primes and Limiteds. I needed a camera bag that can hold some extra stuff and could be shoved in airline overhead compartments without struggle. It was not easy Most camera bags are for camera, and nothing else. The extra space is too tiny to be practical. 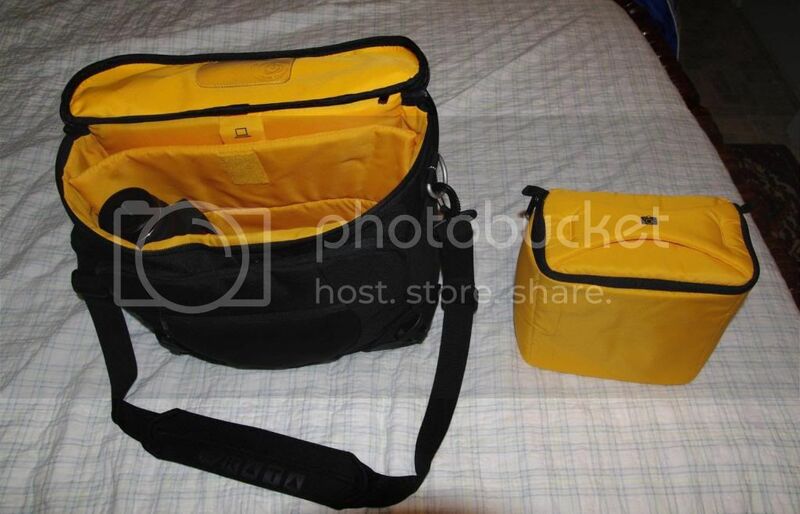 I was looking for a bag that would hold two lenses (Sigma 17-70 and Sigma 70-200), one camera body, and the flash. 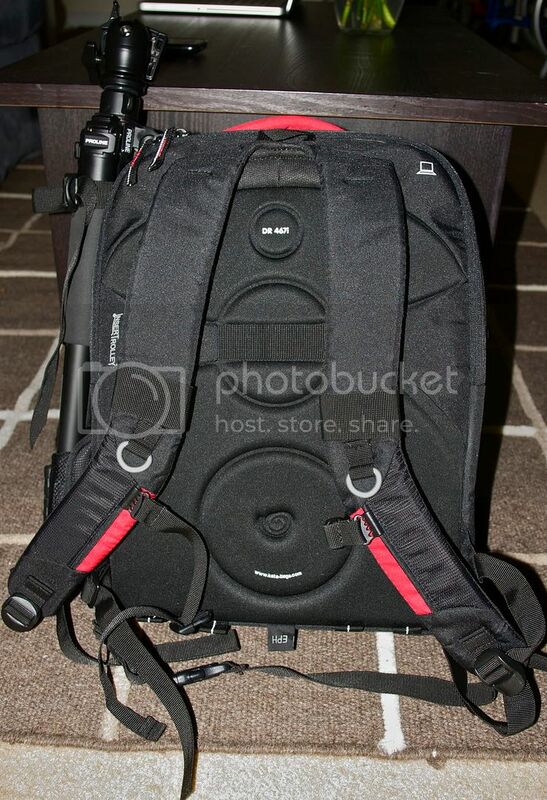 Finally, I settled for the Lowepro Fastpack 250. Check out their video review here. Middle: Pentax 200D with battery pack and Wimberley camera plate, mounted with Sigma 70-200 f2.8 lens. It is tight. But I liked tight, it will not move around during transport. Right: Sigma 17-70 lens, and Eneloop battery charger and a filter box. 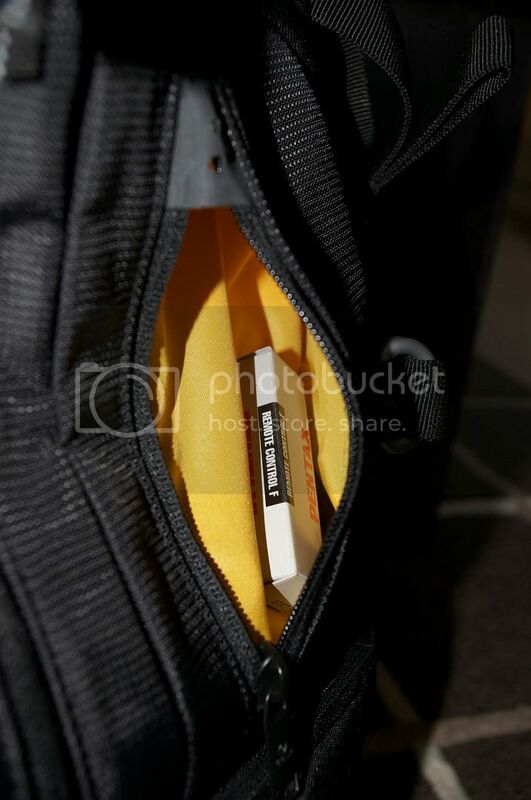 Zippered pocket in the camera flap: lens cleaning pouches etc. Everything else I want to carry. Battery pack for the laptop. Zippered flap: Boarding passes etc. 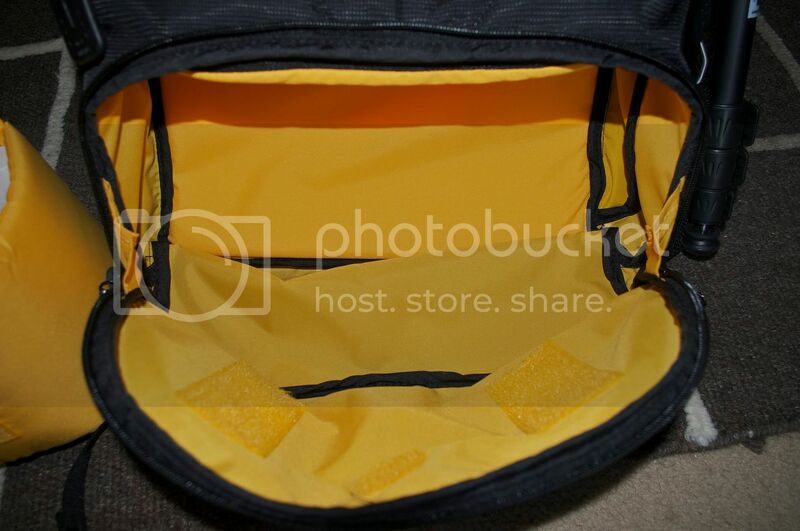 PRO: Layout, decent sized top compartment. CON: zippers of questionable quality. 1 year warranty, which, according to our local camera store, does not cover any damages from normal use. Why the DR-467i: I was looking for a bag that could hold more accessories for long trips or a hike than my Pentax Sling Bag. I don't own many lenses, so I knew I didn't need a bag that could hold a million of them. I also wanted to be able to carry an iPad. I purchased the Kata 3N1-22 ($120) first because it had the convenience of a sling bag that could also be worn as a backpack. However, I found it to be too deep for the compact K-x and regular lenses. My gear was able to jiggle around too much. The top compartment was surprisingly small for such a hefty bag. This was due to an inefficient use of space in the lower compartment, imo. It wasn't very easy to access some things, either. I then decided on the DR-series. I got the DR-467i ($80), in particular, because it could also fit my 17" MBP, and the "i" (improved) version holds a tripod on the side. I've decided this bag is a keeper, so here's my review. 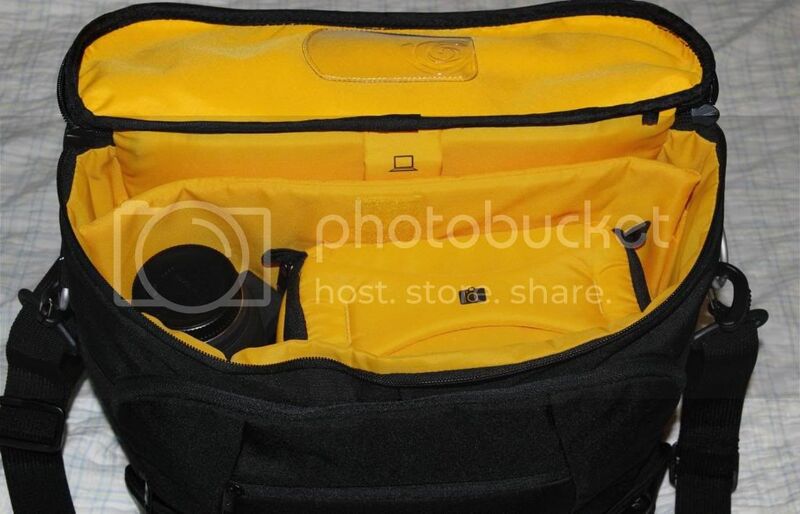 First Impressions: In contrast to the 3N1-22, I was pleasantly surprised at how much storage space this bag has outside of the camera compartment while retaining a slim profile overall. Like any Kata I've handled, the build quality of the bag is exceptional and the brightly-colored interior makes small items easy to find, any debris easy to spot, and is soft, smooth, and protective. The zippers and tabs seem to be durable. It's easy to swing the bag around one shoulder to your chest and not difficult to access your camera from there. The bag also sits freely upright on the ground, so there's no need to lay it in the dirt when you take it off. Upper Compartment: They top compartment is spacious. You can fit several bottles of water in here! 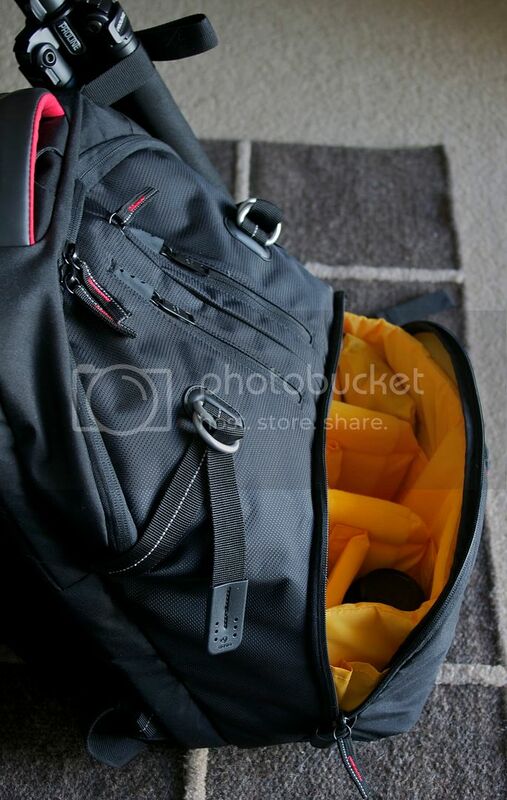 If you don't have that much to carry, the pull straps will compress the bag so that nothing bounces around inside. 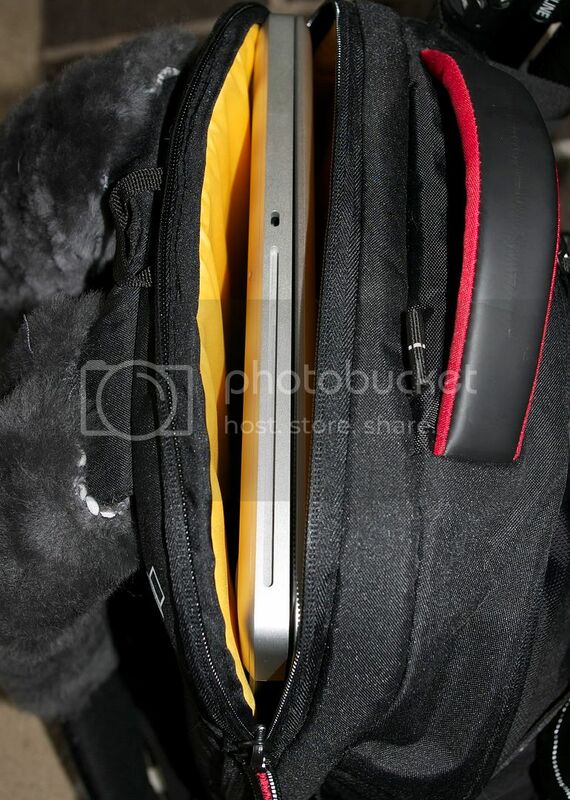 This compartment has a few organizer pockets, as seen below, and can easily fit an iPad in landscape or portrait. 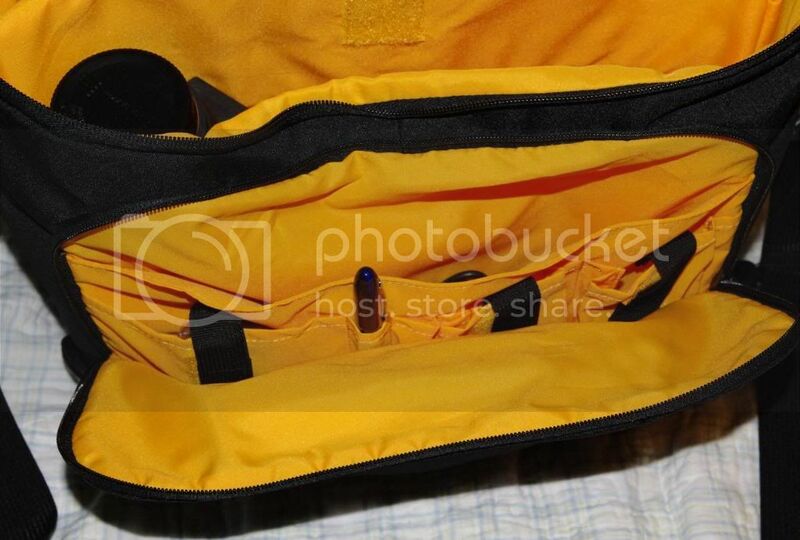 Middle Compartment and Pockets: There's also a middle compartment that has a good bit of room. This is where I keep my cleaning supplies, including a big rocket blower, and there's room for more. 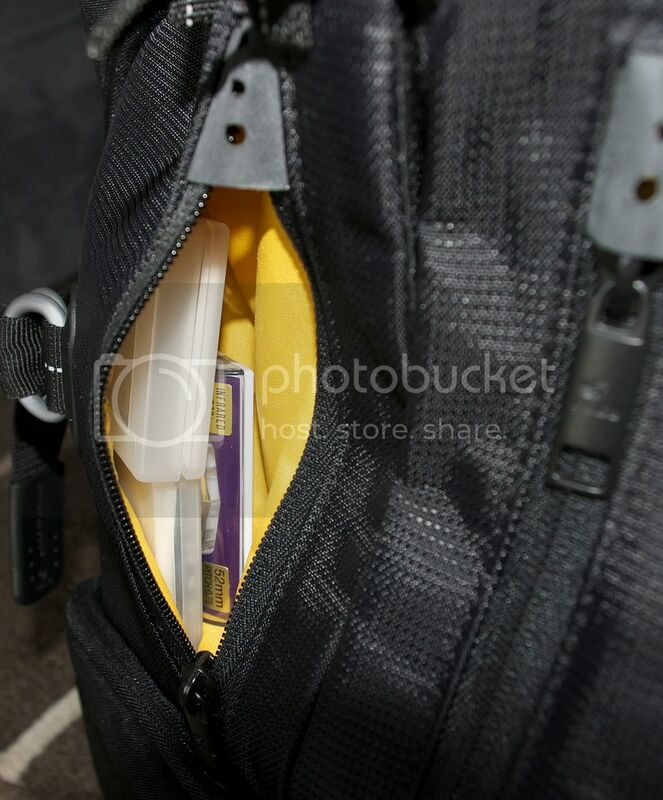 The outer pockets on either side of the zipper for the middle compartment can hold extra batteries, memory cards, and filters. I have a few filters in individual cases in one and my IR remote and extra SD cards in the other. 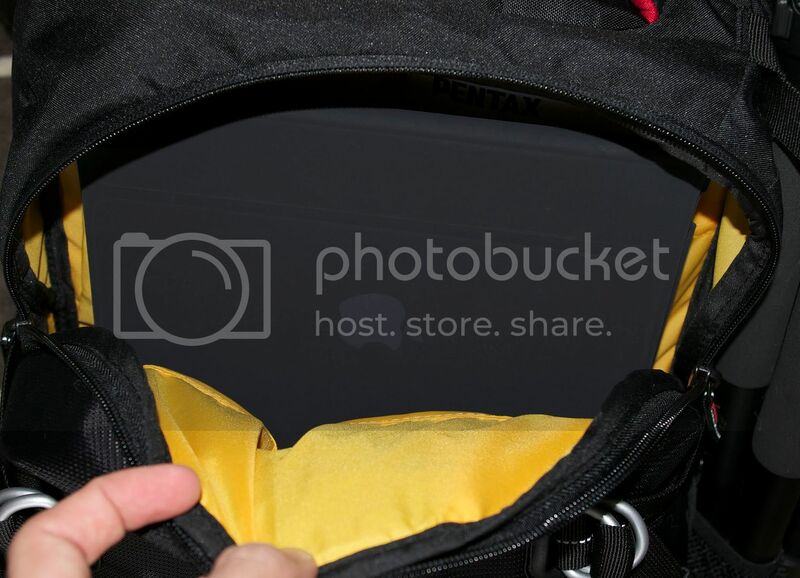 There are no dedicated card or filter holders on the bag, but these pockets work well enough. Tripod Holder: There's nothing special about the tripod holder, but it is nice that you can conceal it when not in use. The mesh pocket that holds the feet stows away into a zipped pocket, and the strap that holds the top of the tripod is easily removable. I would prefer the strap to have a buckle, but I guess Kata was afraid of it coming off while you're using the tripod if you don't re-buckle it. 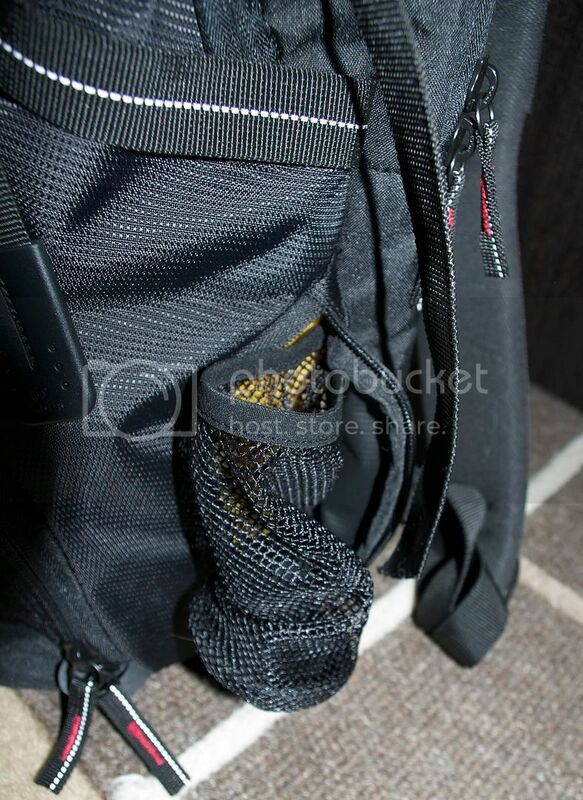 The mesh pocket can also hold a water bottle when you're not carrying a tripod, however, Kata failed to include this mesh pocket on the other side, which would've allowed you to carry a water bottle AND tripod. Laptop Compartment: Pretty straightforward. 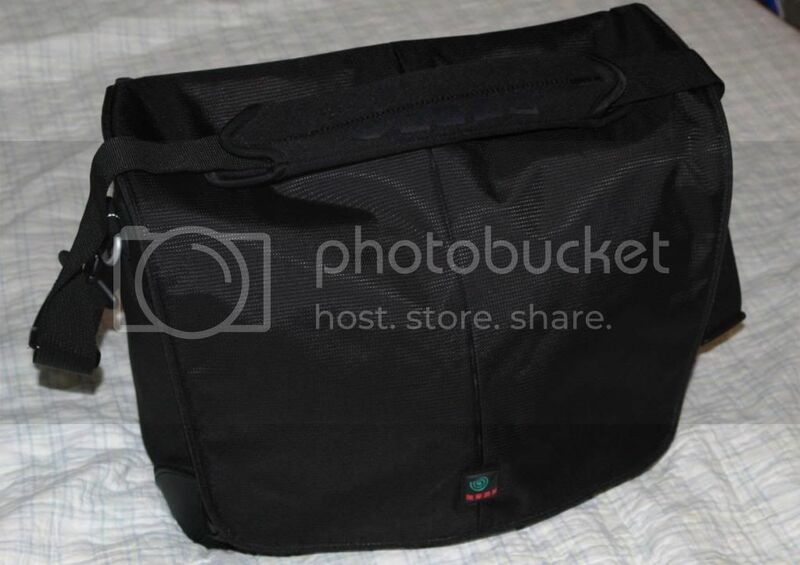 The manufacturer's description indicates that this bag will fit most 15" laptops, however, it does fit my 17" MacBook Pro quite well. The front and back of the compartment is safely padded. You can fit a hydration system in here, too. The Back of the Bag: The back is comfortable when you're wearing it, although the shoulder straps could use some more padding. 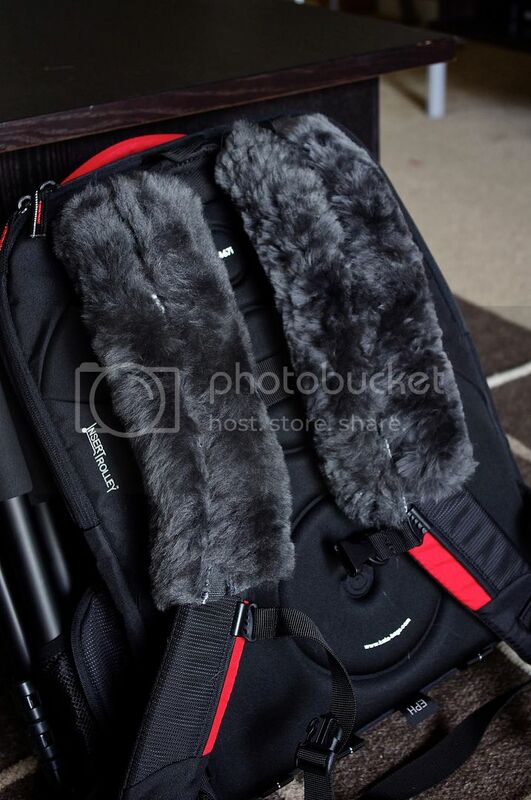 I bought some dark-grey sheepskin seatbelt covers to use on them. You might be okay with them, though; my shoulders got ripped up in the Army, so they're more sensitive to packs. The straps have a metal ring on each, made for Kata's Reflex E camera strap. The Reflex E can snap to the rings on the bag so that you don't have to wear the camera around your neck. 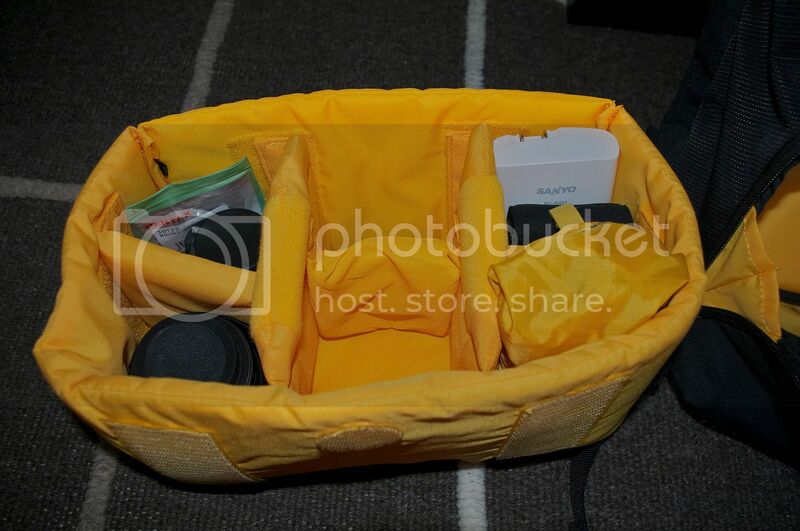 The back has Kata's trolly loop, too, that they call InserTrolly. The waist strap is simple and effective. I've felt no need to have a padded one. Kata included an elastic strap-keeper on the waist belt but nowhere else. Needless to say, strap-keepers on the rest of the straps would have been nice. This bag is compatible with Kata's EPH system that allows additional bags to be attached to this one. There are four nylon loops on the bottom made for this. I wish Kata had placed these loops further back towards the center on the bottom of the bag, though, because they dig into my back if I don't flip them out first. They're all right if I make sure I flip them back. 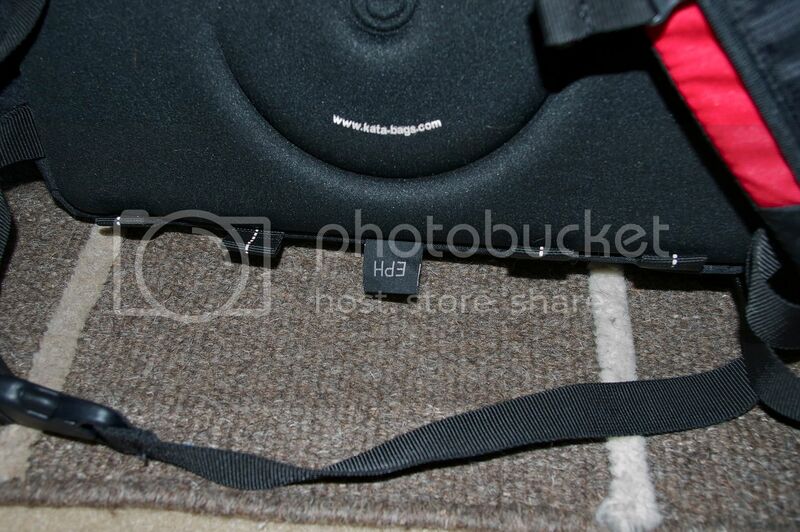 There's also one of these loops on the top near the carry handle, as pictured below. 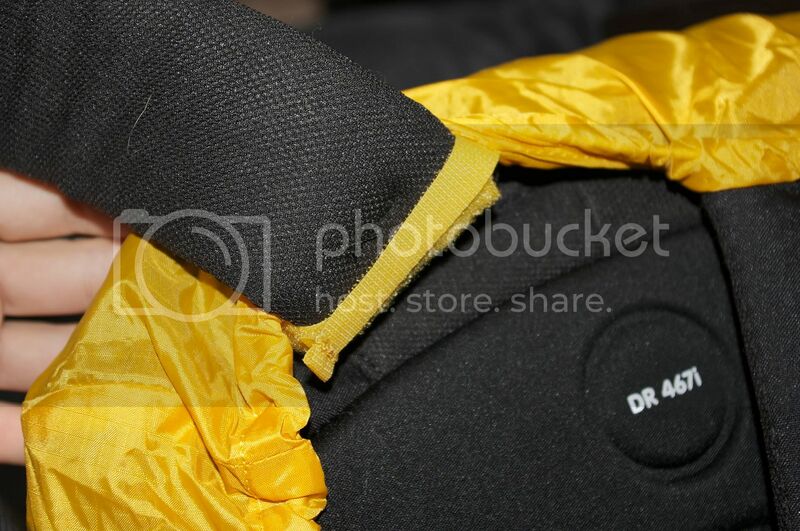 Rain Cover: The included rain cover fits very well. 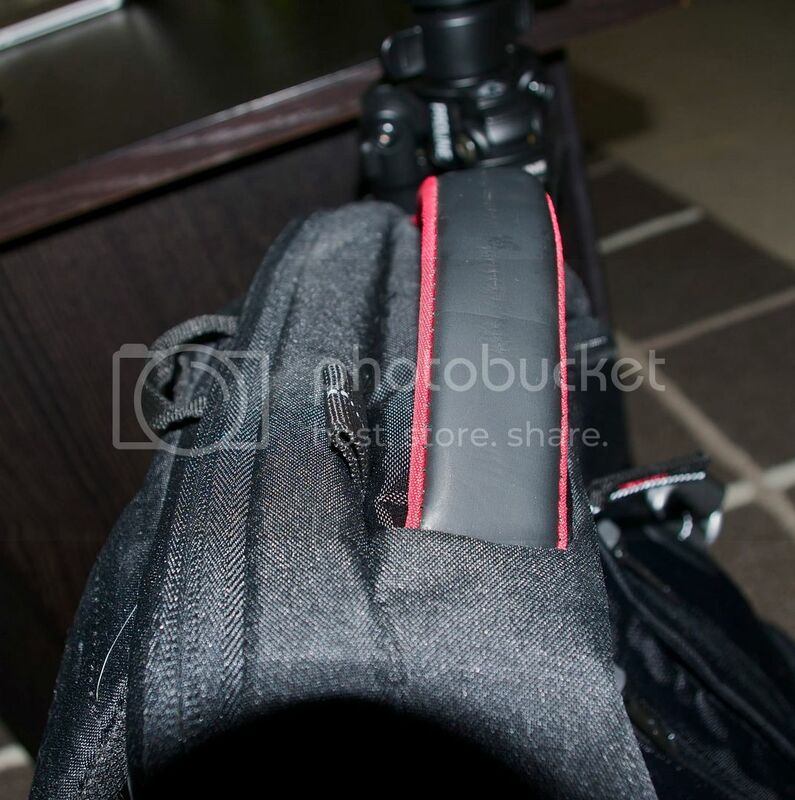 It is secured around each shoulder strap by velcro taps. Although these velcro tabs are thin, they appear to do just fine. 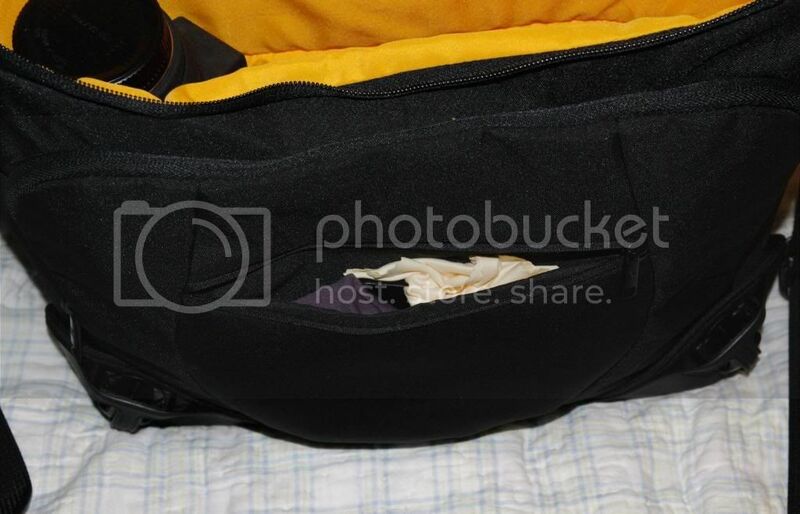 The cover is easy to get on and off, as well as stow back into itself. I have not tested it in a downpour, but I'm sure it's better than nothing, at least. Conclusion: With only a few minor shortcomings, this bag's pros heavily outweigh the little cons. For anyone who isn't carrying a boatload of lenses but needs the option of packing for travel, hiking, or a long shoot, including a laptop and tripod, I think you'll be happy with the Kata DR-467i backpack. I agree entirely. I have the Kata DR-467 and love it. The only thing I miss is the tripod holder that they have added for your model. This just goes to show that Kata is thinking and improving in all the right ways. This bag is perfect for the size and price. I have been caught in heavy rain and the cover saved my bacon. 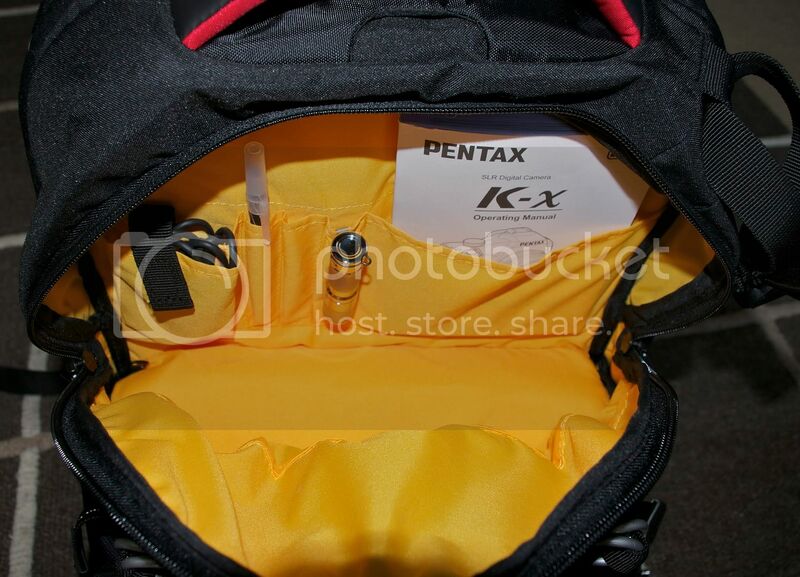 My purchase was the Pentax Canada branded model, which I review on my website in the article The Perfect Camera Bag? I've never seen one with Pentax on it; that's really cool! All the online research I had done led me to this Kata bag. 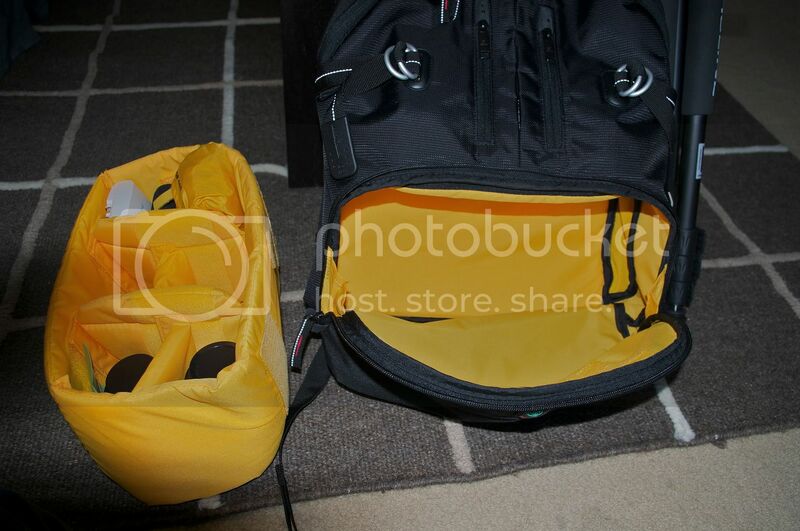 When I finally got to a camera store I happened to see the Pentax rucksack and tried it out. It just happened to be the bag I had already selected blind from the web! 1. Pentax made a good selection of what to brand. 2. I am super great at web research. Some have said I am a target for thieves advertising a camera brand. I just say that no drug-starved youth is going to know Pentax from a hole in their arm. And beside, any bag already makes me a target. I am not big on wearing logos, but this time I make an exception. And I do like the maple leaf. Just went to one of our local bigger camera stores for a browse, and although I already own a few (my wife would say several) bags of varying types, I saw one that I had never seen before. 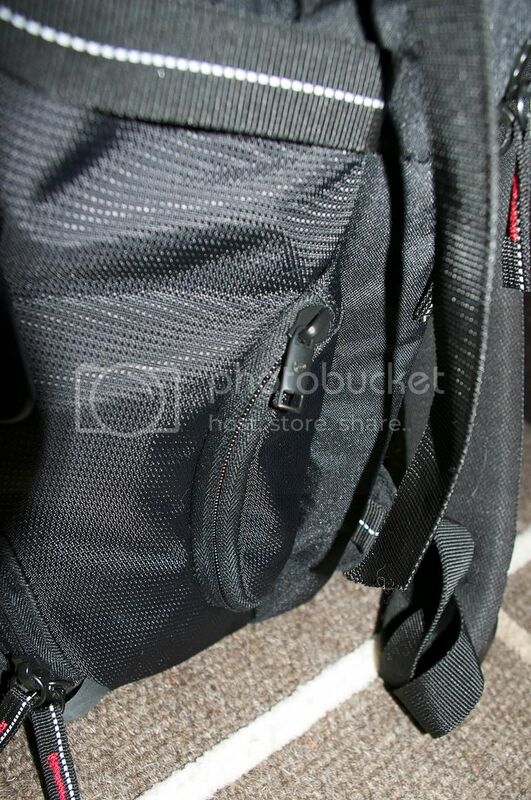 This rather innovative bag allows the waist belt part of the bag to rotate around out of the bottom of the main backpack. 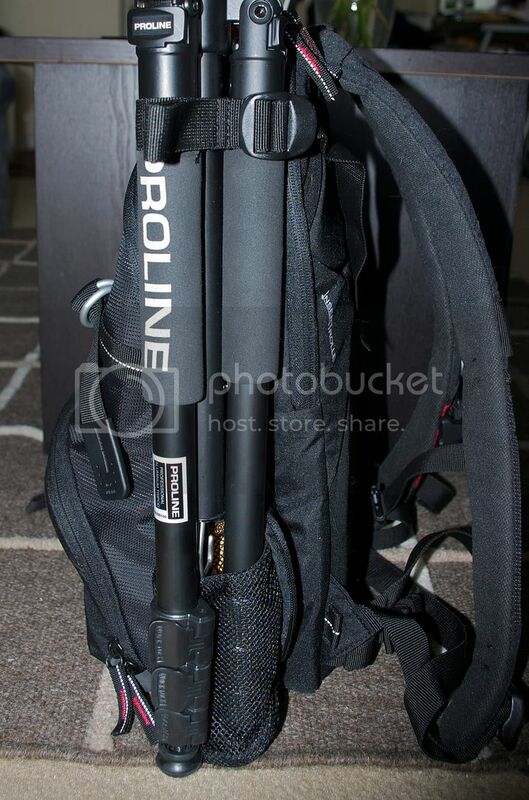 The various bells and whistles that go along with it are also quite innovative, like attachments for the camera straps so they attach to the backpack shoulder straps instead of strangling you around the neck, for example. Be sure to click on the "Features" picture at bottom left, then just click on the "Next" button to your heart's content. There are a LOT of features! Check out the various features - I must admit that I have an inbuilt skepticism for useless "features", but I actually found this very comfortable when I tried it on, and the swing-around waist pack worked brilliantly well. It is not oversized, quite slim (good for bushwalking), doesn't weigh too much itself, has attachments for adding stuff like water bottle or extra lens holders, looks great, has complete raincovers for both the main backpack and the separate waist pack, and appeared to be superbly well made. Everything reeked of high quality. I imagine that one would put the most-used stuff in the waist pack, and the other stuff in the upper compartment of the backpack proper. Now - some suggestion has been made that backpacks in general tend to be hot and sweaty to wear. I live in Brisbane, Australia, where it can get VERY hot. It also gets very high humidity in the wet season (our summer, January/Feb). 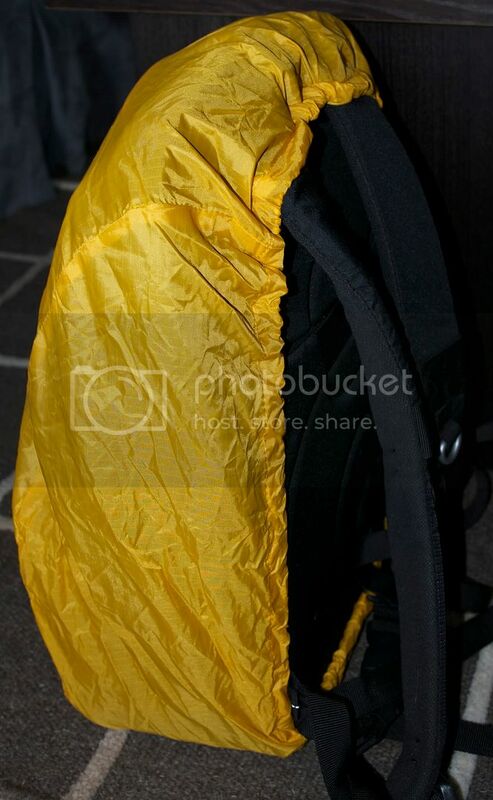 But this Thinktank has "airflow" cushions and padding on the part that fits against your back for that very reason. Now I have to come clean - I just returned from the camera store, after taking a bagful of gear with me, to try out the Rotation 360 in a real life situation. I filled it with a Pentax K20D, battery grip attached complete with Manfrotto baseplate on it. I have the Tamron 18-250 lens on the camera. Then I filled the waist bag with a Sigma 10-20 zoom, Pentax DA35mm and a Pentax DA15mm. I also shoved in a Lens Pen and two spare batteries. Then I loaded the upper part of the backpack with a Tamron SP90mm Macro, a Pentax 31mm Ltd, a Pentax 50mmf/1.2, and my Mecablitz AF-58 flash unit. Still room for more stuff really. I then added various bits and pieces into the pockets front and sides, slung the thing on my back, and it felt REALLY comfortable. I changed my Pentax camera strap for the Think Tank one that comes with the bag, then hooked the rings on that strap onto the clips on the bag's shoulder straps - WOW! What a difference. Suddenly, no more "strangling" or weight from the camera strap around the neck. I didn't try loading a tripod onto the tripod holder - I'm sure it would work just fine. I then tried all permutations of swinging the waist bag around, left, right, all the way, part way, back into the backpack, lock it, unlock it - all went perfectly without a hitch. End result - I'm now the proud ownder of the Rotation 360 I just brought it back from the store (left all my gear in it) and this afternoon, I'm hoping to go into the city for a bit of a walkabout to see how it all works out. But so far, this really does seem to be the best walkabout bag system I've ever come across. I may look into getting one or two of the addon components that can be hooked onto the "rails" on the belt sides, but maybe that is making the whole thing bigger than it needs to be. Currently, it is very slim, doesn't catch on anything when walking past or through, and is extremely comfortable. 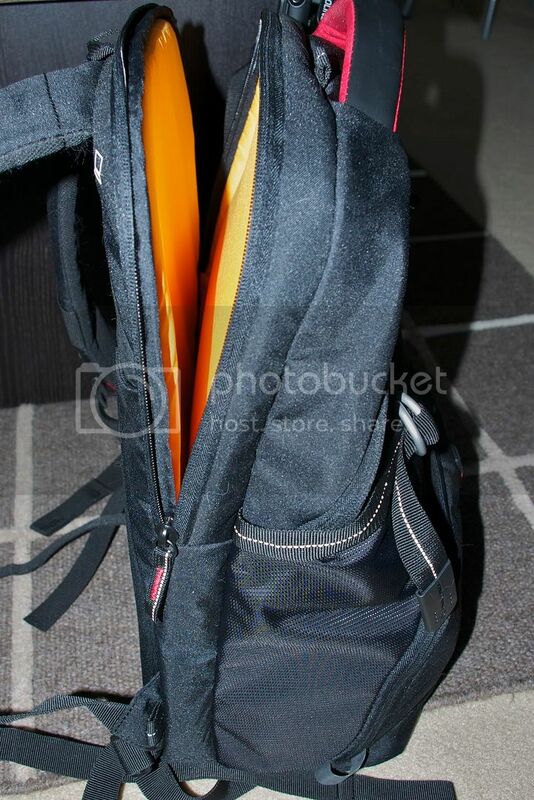 The price of the Rotation 360 we pay here in Australia is not cheap, granted, but for me this is turning out to be the final bag in my search for the perfect backpack setup. So the price will be long forgotten while I'm still appreciating the bag in a few years time. I received my belt modules yesterday, and while there is only room on the belt for an extra couple of modules at a time, at least I can now carry my big Sigma lenses when I need to (I have the 50-500 Bigma, the 100-300, and the 180 Macro - all physically big lenses). I currently have my Metz AF-58 flash unit in one belt module, and the Pentax DA*50-135, complete with lens hood, in the other. If going bush, I can also add two more of the modules onto the side of the backpack itself (eg the water bottle carrier and another lens module) and they are attached up high, which is the best place for the weight. Two K20D camera bodies with battery grips, one with the Tamron 18-250, the other with the Sigma 10-20 (each attached to the backpack shoulder straps), DA15mm, DA31mm, DA35Macro, FA50mm, DA*16-50, DA*50-135, Tamron SP90 Macro, Tamron 1.4x TC, Sigma 100-300, Sigma 180 Macro, Metz AF-58 flash, Full set of Cokin filters and holders (ND, ND Grad, Polariser, stepup rings), Raynox 250, 8 spare Eneloop batteries, 4 spare Pentax camera batteries, Giotto Air Rocket, assorted odds and sods, Manfrotto 190 tripod with ballhead, and a full water bottle. Obviously I wouldn't be taking all that lot on most walkabouts, but I loaded up just for the test walk to see how the bag performed. As for the dry weight of the bag - it is not heavy, especially compared to my Lowepro Vertex 300 AW, which weighs more and is nowhere near as comfortable. Last edited by Derridale; 05-04-2010 at 02:14 PM. Here is a video review of my bag that I posted on YouTube sometime ago. I'm looking for a new bag now. Shoulder bags hurt my back. I'm thinking the Kata 3-n-1 20.